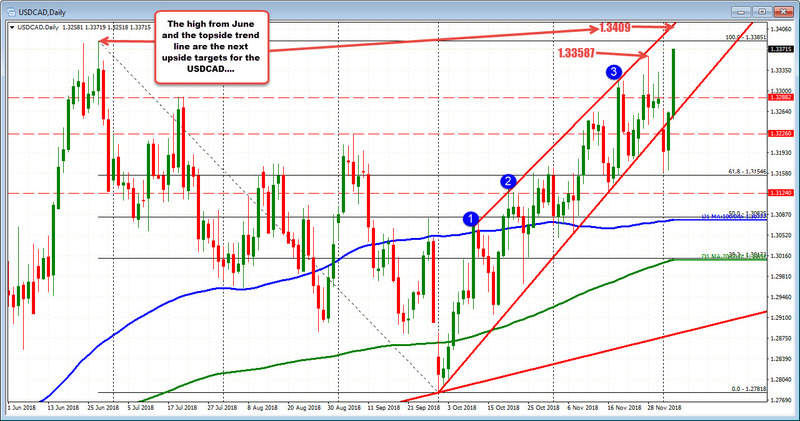 The USDCAD has moved higher after the BOC decision and headlines. The price moved quickly higher and is trading above the November high at 1.33581. The next target is the 2018 high from June 27 at 1.33851. 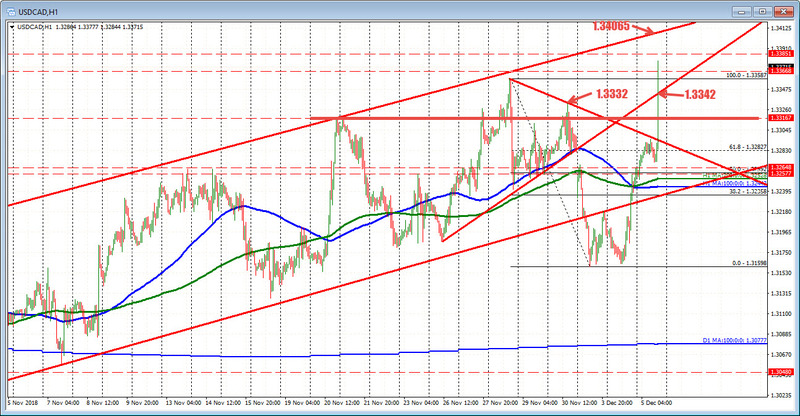 A move above that level will look toward a topside trend line at 1.3409. Drilling to the hourly chart, the 1.33587 is the November high. The 1.3332 was the November 30 high and 1.3342 is the old trend line. They are now support or risk defining levels. Stay above is more bullish. Move below and the markets are more muddy technically (at least intraday). Right now, the bulls are taking control, but the year high is making for a low risk level for sellers to lean against.